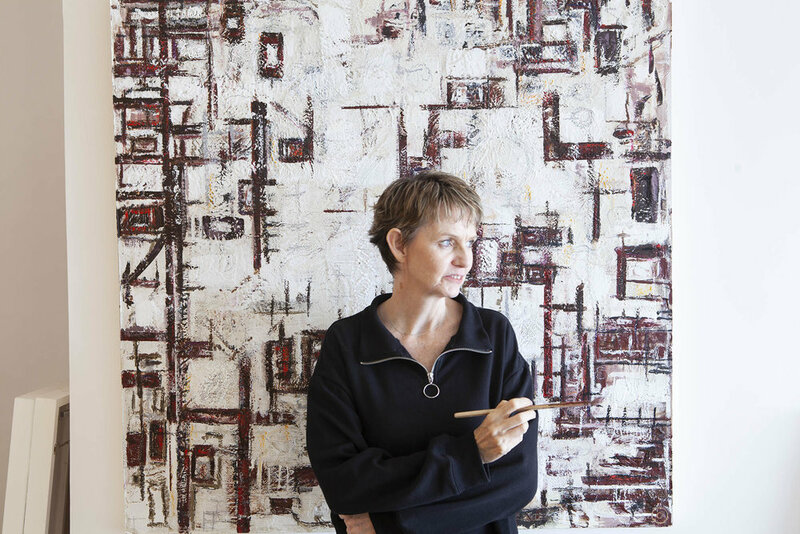 Sue Perks is a Hong Kong based encaustic hot wax painter whose work explores the colours, patterns and textures found in the urban environment and the juxtaposition of urban imagery with natural forms. She studied textile design in the UK before emigrating to Australia in 1991 and has lived in Hong Kong for the last fourteen years. She has travelled extensively throughout Asia and photographs the urban landscape to capture shape, colour and pattern. Sue has exhibited regularly and her work is held by collectors in Hong Kong, UK, Australia and the USA. The Artist and her process. 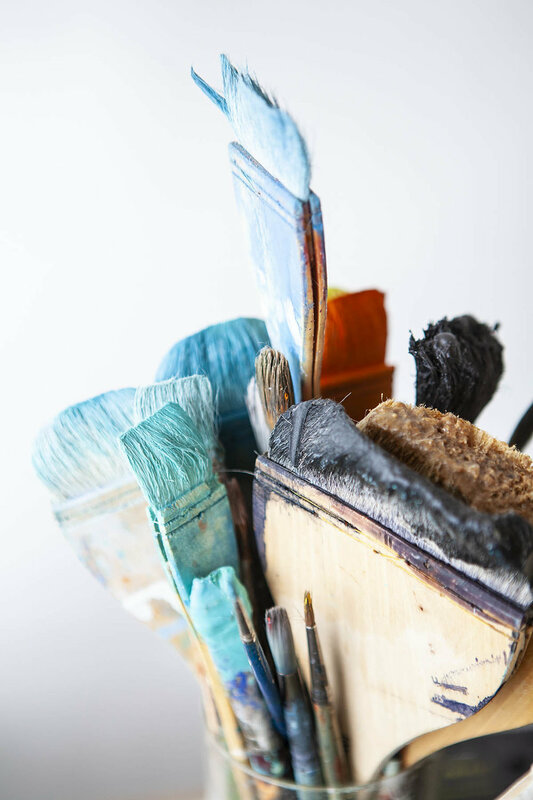 By using the ancient process of encaustic painting dating back to 800 B.C., Sue Perks is continually challenged by the balance between creating a controlled composition and intuitively allowing the free flow of the wax in its liquid form. The numerous rich layers which have been heated and fused, scraped and burnished, allow Perks to create amazing depth, whilst exploring the relationship of colours, textures and lines. Her paintings explore time by capturing the layers of patterns and marks and the ultimate decay and distress of man made surfaces and structures. This can be read as layers of living history found within the patterns and textures of the urban environment. The compositional structure is pivotal, as she strives to achieve a sense of balance and visual unity whilst exploring the relationships of colour, texture and shape. There is a strong use of compositional rules and mathematical principles within the works. Sue has been widely exhibited in both solo and group shows. If you wish to be invited to upcoming exhibitions or receive news please do contact us.